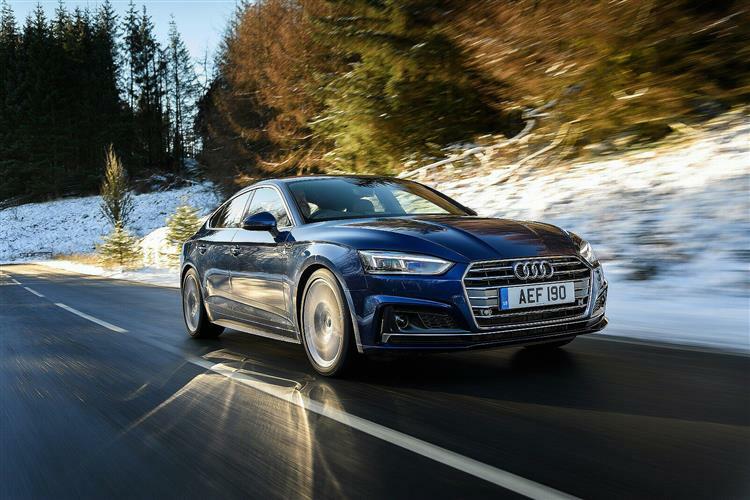 This second generation A5 Sportback sits on an all-new platform with a wide track and a comparatively long wheelbase, all ingredients that should provide for composed, agile handling. There's a more sophisticated suspension set-up too, with a more sophisticated five-link system replacing the trapezoidal link rear suspension used previously. 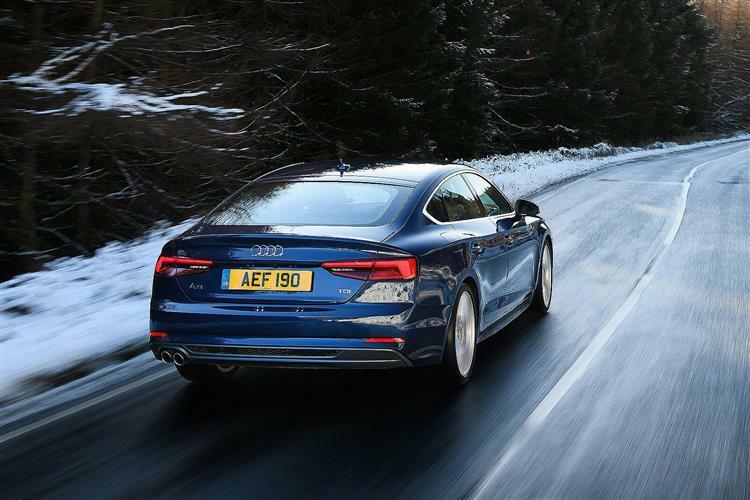 As you'd expect, there's an adaptive damping option you can control through the standard 'Audi drive select' vehicle dynamics system that all A5 Sportback models get. At its simplest, this set-up allows you to control all the usual things - throttle response, steering feel and, on S tronic auto models, gearshift timings too. You'll want to know about engines. 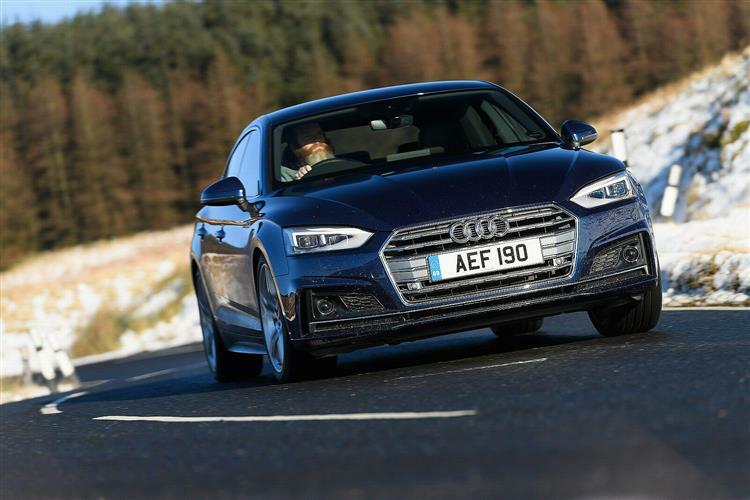 Petrols first: there's an entry-level 150PS 1.4-litre TFSI unit in the base '35 TFSI' variant, then a couple of 2.0 TFSI petrol options, with a choice of either 190PS (in the '40 TFSI') or 245PS (in the '45 TFSI quattro'), the latter variant able to reach 62mph in just 6s. Most will want a diesel though. There's a base 150PS 2.0-litre unit in the '35 TDI'. And a 190PS version of that engine in the '40 TDI'. There's also a six cylinder 3.0 TDI variant offering 286PS and a mighty 620Nm of torque in the '50 TDI quattro' model, so it should feel genuinely quick. 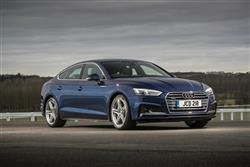 As should the S5 version, which gets a mild hybrid 347PS version of that 3.0 TDI. This develops 500Nm of torque and sprints to 62mph in just 4.9s on the way to an artificially governed top speed of 155mph. 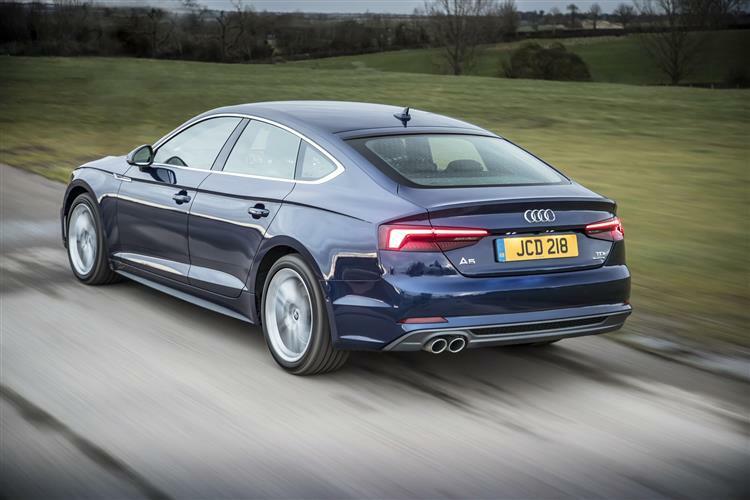 The top RS5 Sportback uses a 450PS 2.9-litre petrol V6. 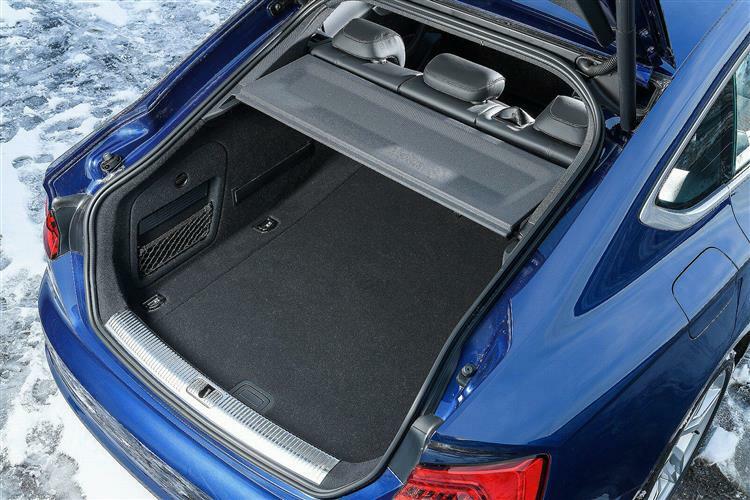 As usual, quattro 4WD is either optional or standard-fit on more powerful models. 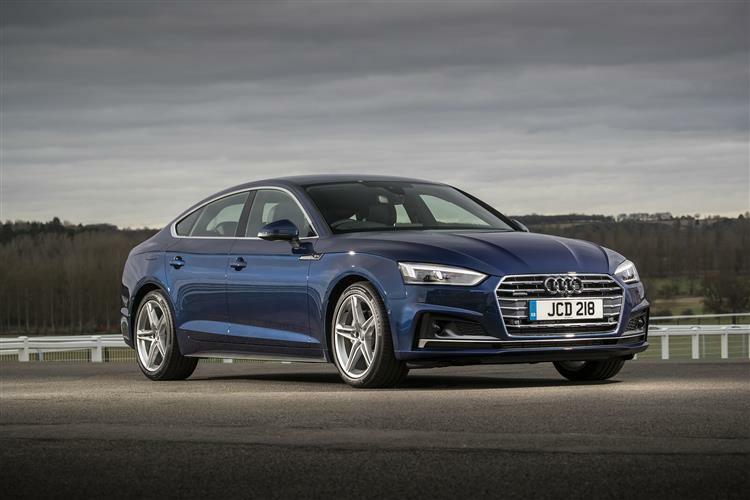 Expect pricing to sit in the same £34,000 to £45,000 bracket as rivals, though you can pay up to £55,000 or more for an A5 Sportback in its fastest or best equipped forms. As usual, there's a premium of around £3,000 to pay if you want to switch from any given petrol variant to its diesel alternative. Only the '40 TFSI' petrol variant can be had with manual transmission. A 7-speed S tronic auto gearbox is optional and all other mainstream A5 Sportback models have to have that auto transmission as standard. Quattro 4WD costs around £1,800 more on the '40 TDI' diesel and is standard on the fastest petrol and diesel derivatives. All models come well equipped, every trim grade featuring xenon headlights with LED daytime running lights and LED rear lights, an 'Audi MMI radio plus' infotainment system with a 7-inch colour display, Bluetooth, a three-spoke leather multifunction steering wheel, a front centre armrest, a folding rear seat back with a 40:20:40 split, and LED interior lighting. 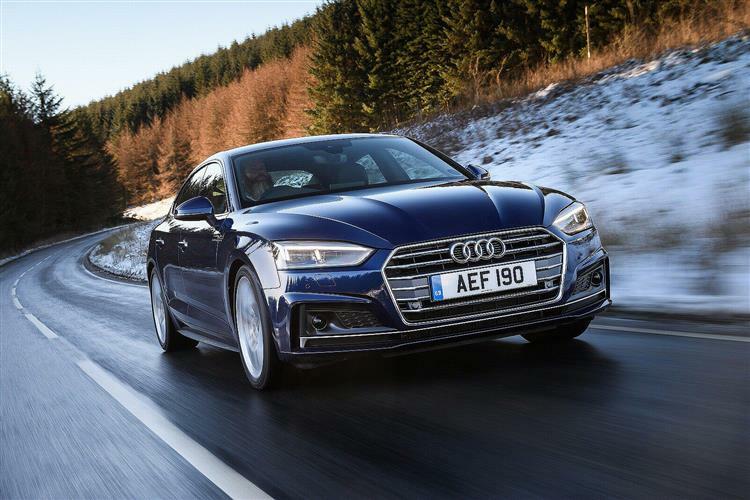 Also standard are the Audi drive select dynamic handling system, the Audi pre sense city and multicollision brake assist safety systems, and a variable speed limiter. 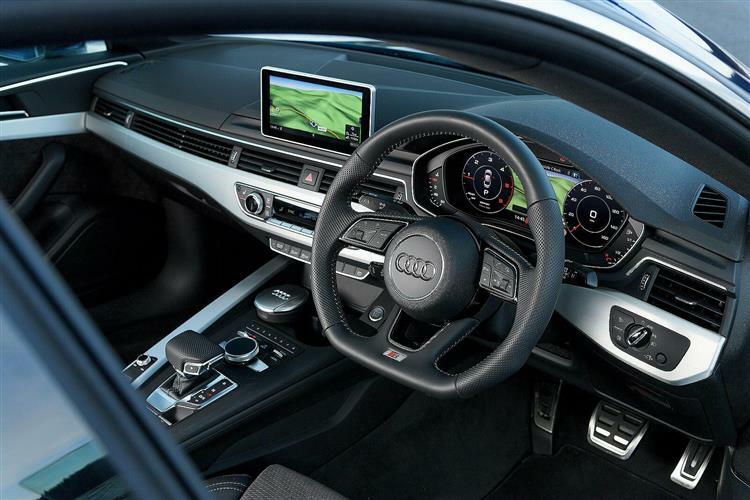 Many buyers will want to add in the desirable 'Audi Virtual Cockpit' TFT instrument binnacle, with its 12.3-inch screen and advanced graphics. A Head-up display can be ordered at extra cost. Also popular as an option will be Audi's top infotainment set-up, 'MMI navigation plus with MMI touch'. 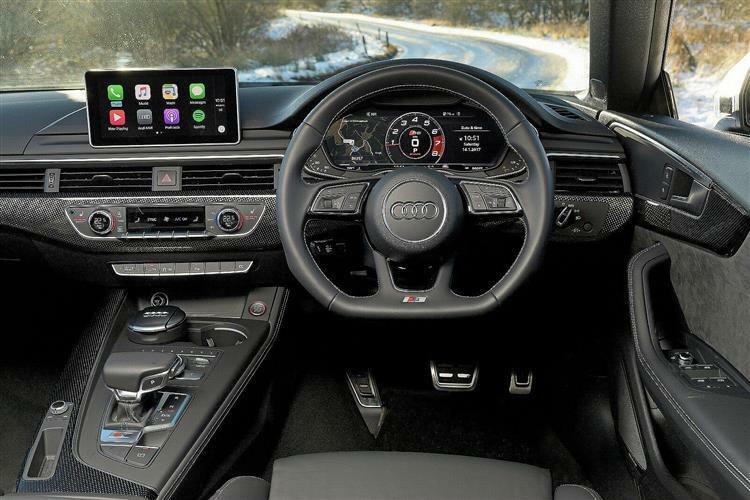 It includes such features as 10GB of flash storage, a DVD drive, Audi connect services for three years and an 8.3-inch monitor. 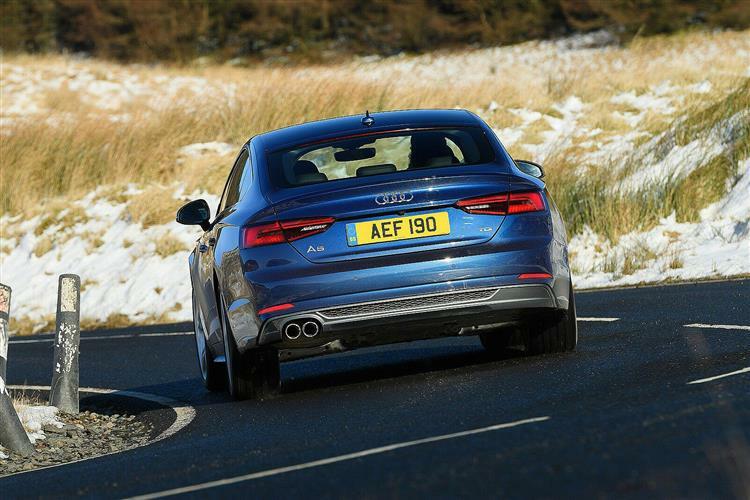 The body of this MK2 model Audi A5 Sportback is the lightest in the segment and the car's overall weight has fallen by 85kgs to just 1,470kg. That's equivalent to asking your partner and smallest child to get out and walk and it has predictably positive effects on the car's efficiency figures. Also helpful is the optional 'Predictive efficiency assistant' which evaluates GPS information from the car's immediate surroundings and helps to save fuel by giving specific driving advice. 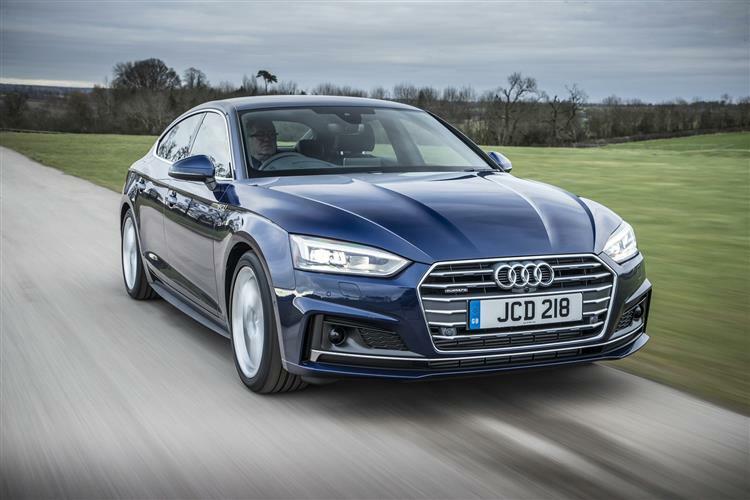 We'll get to the efficiency figures - which Audi says have improved by up to 22% across the line-up in this second generation range, even though power outputs have risen by 17%. 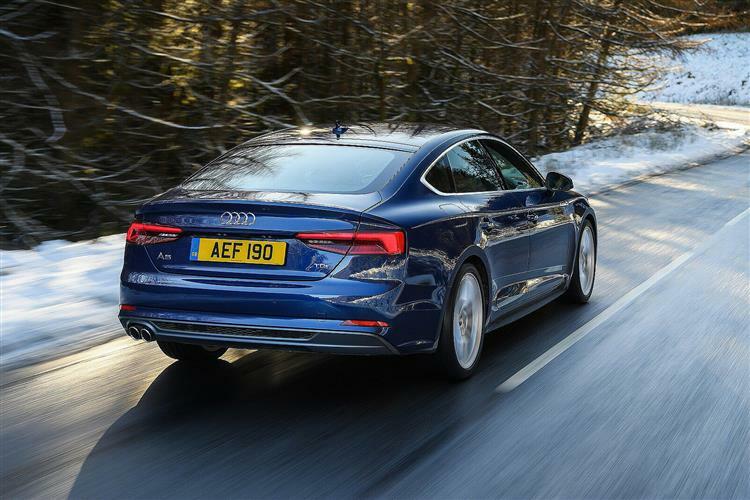 In its 190PS guise, the 2.0 TFSI petrol unit is reasonably frugal, in S tronic '40 TFSI' form managing up to 47.9mpg on the combined cycle and 135g/km of CO2 (on 18-inch wheels). The 190PS 2.0 TDI '40 TDI' diesel improves that to 62.8mpg and 117g/km.